A digital marketing plan that works well will have a considerable impact on the development of your business. At every step it will guide you and tell you what you should be doing in that moment and also bear in mind that thanks to this process you will be able to achieve fixed objectives. Convey your messages to achieve the best results. However, If you thought that all of your digital work would be solved by creating a website then you are wrong. This is the absolute bare minimum of what is needed when thinking about your digital marketing plan. You will also have to plan in detail social network strategies, responsive designs for each channel, email marketing actions and the generation of landing pages that are specific to your digital ad campaigns. You wont achieve good positioning and you won’t be seen as competition. A digital marketing plan will make it much easier to get to know your target and, above all, find them through multiple channels wherever they are. Otherwise, you will only have a general overview of each audience and this won´t allow you to develop good campaigns. You will waste time and resources. A digital marketing plan is clear, concise and direct. It is the best way to organise your strategies. As a result of not having well defined objectives and their development, you won’t be able to measure the results of each action. How do you create the perfect digital marketing plan? Email marketing is one of the most important areas for any business, and if you deal in e-commerce or have an important online presence, putting these different strategies into practice will give you an incredible boost. Even though this step is obvious, its important to remember how important it is when building a digital marketing plan. You can’t define the direction you want to go without first reviewing what you have done. If you don’t know where you are, you wont be able to start from the right place. Determine what your niche market is. 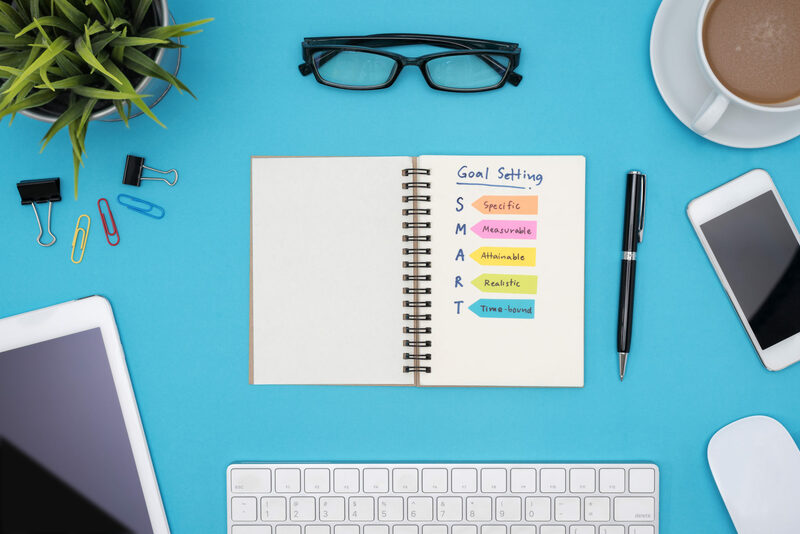 Although this is the next step of a digital marketing plan, from the first moment it is important to define exactly who you want to target so you can start focusing on your strategy. You can forget the brand. You can’t move forward if you don’t clearly identify the characteristics of your own brand. Your pitch. What differentiates you from the competition? Taking in to account the needs of your target and your techniques on how to resolve them, what do you have that others don’t? All of these aspects come before the creation of a digital marketing plan and without a clear idea of what your business model is it will be impossible to start the right way. 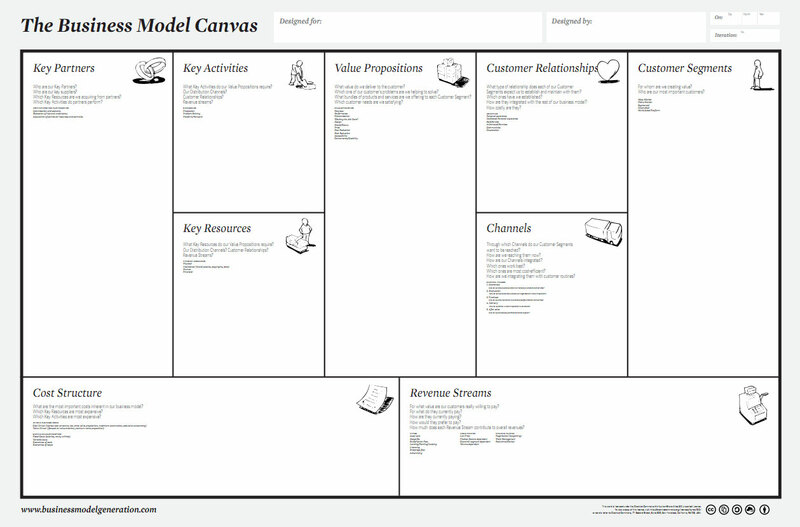 In order to make sure, you can take advantage of tools like Business Model Canvas, shown in the image above. One of the most common errors made when developing a good digital marketing plan is focussing on your market and leaving the other side to the competition. Keep in mind that competitors are always part of the market. They influence and determine on many occasions the success or failure of your strategies so you can´t forget them. While its true that, the better you know your market, the more you will understand your target, where as the better you know the competition the more tools you will have at your disposal to highlight and impact your target audience. Make a ranking using the infographic tools that we have shown you previously. Review their activity on social networks. Investigate in order to understand what they offer. Keep an eye on their prices. Analyze what their strategies for attracting new clients are and how they build loyalty. With all of this information on the table you will be able to get the best out of your strengths and weaknesses. If you understand who you should be targeting, why you are targeting them, through which media you are going to target them and which strategies you are going to use your campaigns stand a much better chance of success. You should have a detailed plan of what you want to do, understand who it is directed at and know how you are going to achieve it. Therefore you should pay attention to strategies that are better suited to your goals. 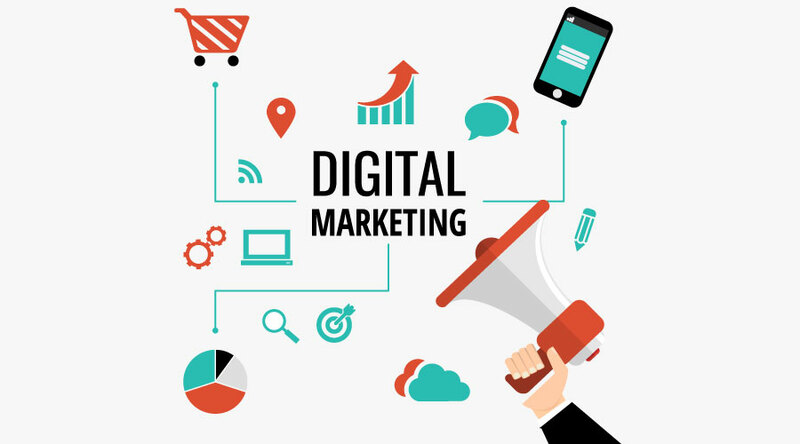 Finally, if you have arrived at this third step of your digital marketing plan its because you have a clear business model, your niche market, you will have a digital competence analysis, and probably some other ideas of what you want to do floating around your head as well. 4.- You have all of the information, create a unique sales proposition. Review all of the information that has been collected. What do you think your brand doesn’t have? What goals do you want to achieve? How can you take advantage of your strengths to stand out from the competition and meet those needs? It may be more difficult to find out what makes you different from the competition rather than defining what the competition has that you don`t. But then again, nobody said it was going to be easy. Pay particular attention to this point, if you manage to put together a unique value proposition, half the battle is already won. One of the cornerstones of your digital marketing plan will be to decide what traffic sources you are going to use. As you already know, there are various support tools out there to help build complete strategies that compliment your work and duplicate results. Actually, everything will help you. But, it is highly recommended that you keep an eye on all of the websites the user visits, as it is essential that you be on them. Therefore, betting on cross-channel marketing would be the best option for visibility throughout all of the channels, hence the importance of having digital marketing platforms that allow you to work on all of those channels from one place. The audience creates the brands, and the content is what generates the audience. Therefore it is a factor that must be in constant growth, evolution and development. Furthermore, in the digital world the main asset shared through all of the communication channels is information. So much so that the majority of brands with an online presence are giving more and more importance to content marketing. On the Internet the main asset that is shared is information. Everyday more and more people and businesses are choosing content marketing strategy as an important part of developing their business. This will not only allow you to position yourself but also build loyalty and help you to go viral. Tactics are concrete actions that are going to be made when launching the strategy and achieving the objectives. For example, If one of the goals is to increase online sales by 20% in 2017 and by doing that, you want to improve the experience of the user on your website, a good tactic would be to run A/B Tests on you landing pages to determine which elements help you to convert the most. You can work on generating content to capture users and position yourself in search engines. Combining SEO with social networks strategies. Use email marketing to recover abandoned shopping carts. SEM, marketing on search engines. This is the moment to give form to your ideas and think about developing the actions to achieve your objectives. To do that, it is fundamental to fix a schedule in order to know when to do this and organise yourself better. This is one of the keys that will define the success or failure of a marketing plan and yet a lot of brands don´t pay enough attention to it. The same action could quickly go viral at a specific time of the year and be dismissed out of hand before or after a few months. Tha’s why it is important to keep in mind the right dates to launch each tactic of your digital marketing plan. 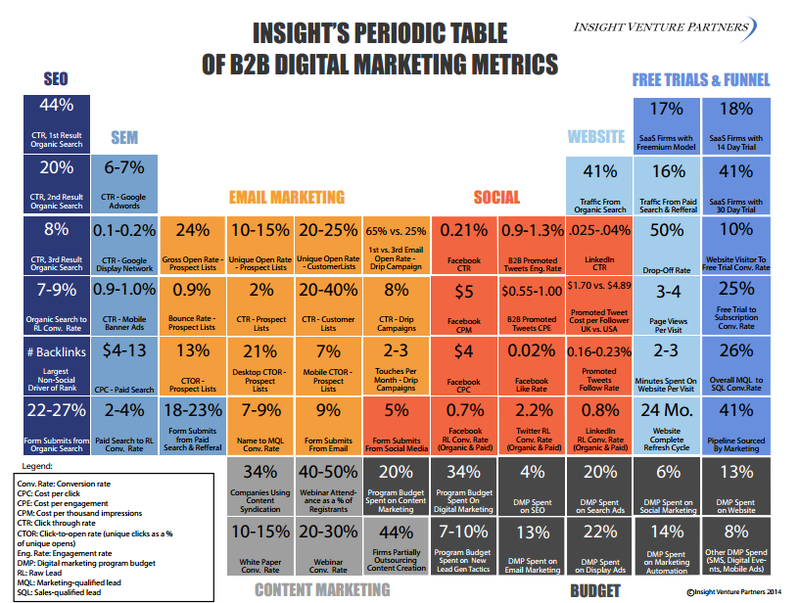 Obviously no digital marketing plan is complete without measuring the results. In fact, you could say that this isn’t the strategy`s last step but the first. It will be the element that tells you what results you are obtaining, what has improved and what you can change if its not working. You only have to decide which KPI’s will measure your objectives and start working on them. However, in order to achieve these steps you will have to complement them with the use of other professional marketing tools. Would you like to work on all of your communications from only one place? Try MDirector today and start getting the best out of your digital marketing plan. As you already know, in order to execute a cross-channel marketing strategy you will need to use different digital tools. MDirector is the first and only cross-channel marketing platform that allows capture registers and optimizes your campaigns on Google Adwords, Facebook Ads, Email Marketing and Display Retargeting with Landing Optimizer. In addition you could communicate with your clients by email and SMS marketing. All of your channels in one platform: email, mobile, display and social.